Buy LizardbethArt a coffee. 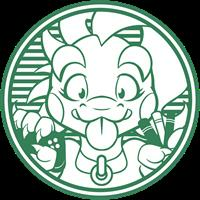 ko-fi.com/lizardbethart - Ko-fi ❤️ Where creators get paid by fans, with a 'Buy Me a Coffee' button. Artist, Nerd, IRL Human (probably). Links to my YouTube channels, Instagram, and more are on my website! Thank you for your interest in supporting my work! Help me meet my monthly goal, which will not only support my 3-cup-a-day habit (a girl needs her caffeine), but in turn literally fuel my creative endeavors. Secured Payments. Support goes to LizardbethArt's account. Upgrade LizardbethArt to a yearly Gold Membership with a one-time payment.